Consider this as an interim post before I jump back into the detailed posts for uniforms and various other artifacts. 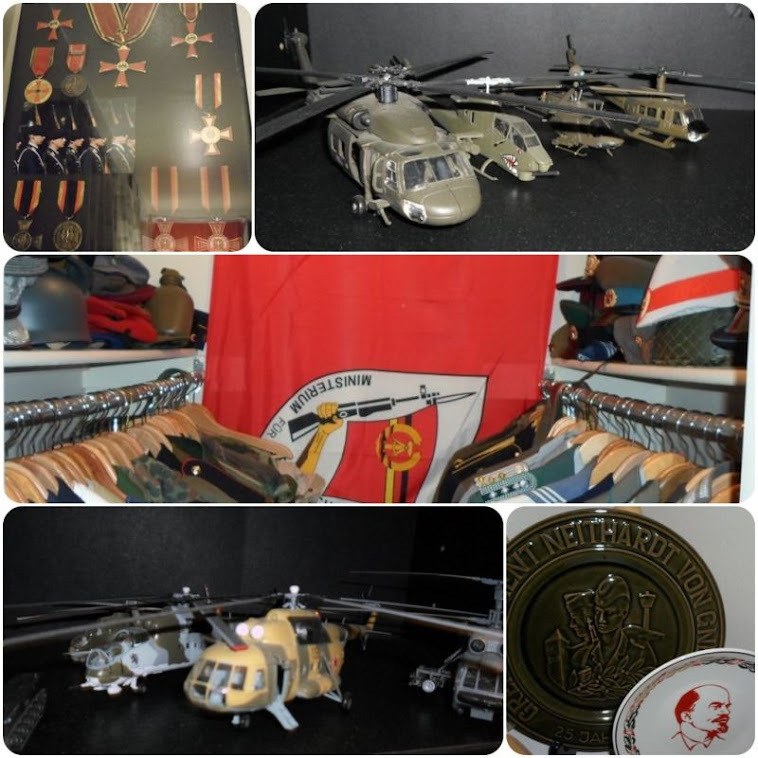 The previous several months has seen a number of acquisitions arrive from Europe ranging from British military items to represent the British Forces in Germany (both BAOR and RAFG) as well as Soviet military items and other pieces of interest. I will also be including areas of interests as I've been contacted and been lucky enough to meet other collectors as well as veterans of the Cold War and those interested in preserving this period in world history. I'm particularly excited about a new museum in the works in Schwäbisch Gmünd former home to the U.S. Army's Pershing missile units in West Germany. A significant deterrence to Soviet SS-12 missiles positioned to strike targets in western Europe. As displayed in the pictures below you will see the current state of the 'War Room' as I call it which currently houses my collection of Cold War memorabilia and artifacts. As you will see I have a lot of catching up to do and updates will follow soon as well as several other areas of interest that I have been researching as of late such as Warsaw Pact battle tactics, possible scenarios in which the Cold War would have gone 'hot' as well as other areas of interest. Again thanks to all for showing interest in this area of world history, for visiting my blog and supporting the efforts to preserve our history. The collection is continually growing and new pieces will arrive regularly and the room as you see it now will evolve and change to meet the growing number of acquisitions, displays and references as they arrive from around the world. Again, my thanks can not be expressed enough.